Supercharge your events with our improved campaign program. Tespa's Campaign Program is a year-round event support program for chapters. If you're a returning leader, you'll notice that this year's program introduces several new features, all based on your feedback. 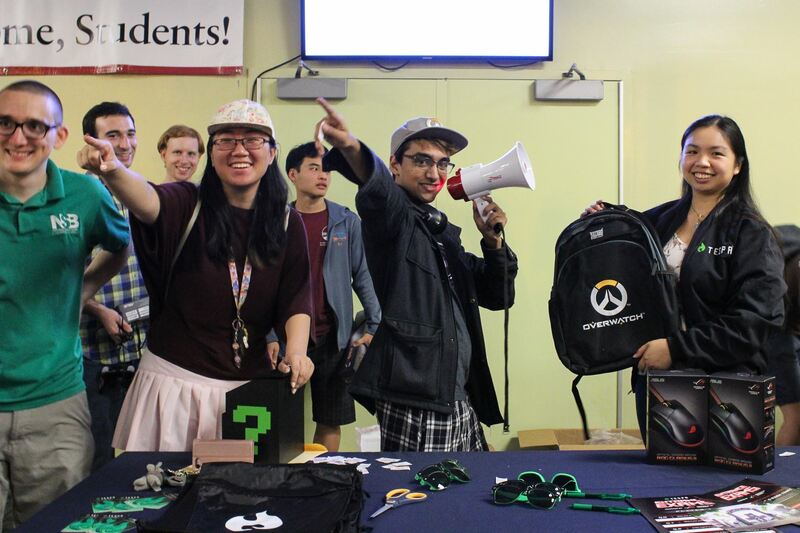 Several times a year, chapter leaders can submit a Campaign application for official Tespa support for a club event or gathering. When the application is approved, Tespa will send a campaign package full of tools, gaming gear, and partner items to your chapter. Afterwards, your chapter is required to submit an event recap with at least 15 photos. Photos must document how items were given away, the event size, and activities. Want to learn more? Check out our Campaign Program Flowchart for a quick visualization of the process! Hearthstone "Rise Of Shadows" & ROG "Unleashed"
All approved Campaign applications until the end of Spring will receive the ROG "Unleashed" Bundle and the Hearthstone "Rise Of Shadows" Bundle, which includes exclusive Fireside-only goodies! Remember that all applications will require a link to a listed or unlisted Fireside Gathering. In order to submit your application, you'll first need to apply for a Fireside Gathering! The application is quick, easy, and will give your Hearthstone organizer access to Fireside-only game modes for your event. Last year’s Legendary Event Challenge is returning as Elite Events: Powered by Republic of Gamers! If you're an active chapter leader, you can submit an application to upgrade your Spring chapter event with high-powered loaner laptops, ROG gear, and more! Ready to Dream Big? Showcase your chapter's event planning prowess by applying for the Dream Big Bonus Activation. If your application is accepted, you'll earn an extra support package for your chapter's most prestigious event. You can use Dream Big or Elite Events to double-down on a Campaign event if you apply for both! This year, we're expanding the campaign application window to provide chapter leaders more flexibility to host the biggest and best events. Each semester will have one long, uninterrupted period during which you may submit multiple campaign applications. For a more detailed look at the Campaign schedule, check out our Campaign Guide. After every campaign event, chapter leaders are required to submit a photo album that showcases the attendees, prizes, and best moments of the event. In order to maintain your campaign tier, your recap must contain a minimum of 15 high quality photos. After your recap is submitted, your chapter’s Chapter Coordinator evaluates the recap based on public grading rubric. Study the rubric and reach out to your Community Coordinator to make sure your events are meeting the criteria to maintain or even upgrade your campaign tier. Use these guidelines to help your event team understand how to plan the best events possible, allowing your chapter to consistently upgrade packages throughout the school year. Excited to level-up your campus events? The Campaign Guide is a comprehensive resource for campaign requirements, processes, and tiers — everything you need to know to make your campus one of the greats.